Located on the southern end of the San Francisco Peninsula, Los Altos is popularly considered a bedroom community. Growing out of apricot orchards, Los Altos manages to be removed from the hustle and bustle of Silicon Valley and instead provides a relaxing place to sit back and take it all in. 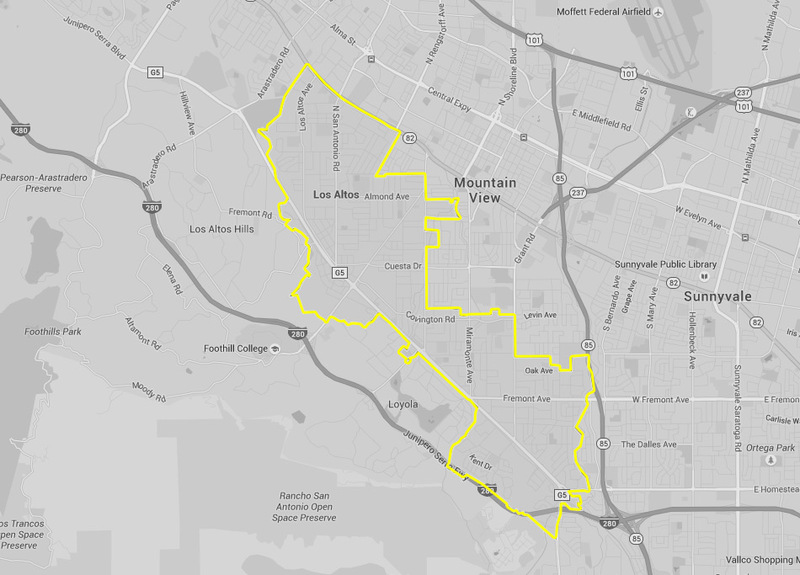 Meaning “the foothills” in Spanish, Los Altos is just that, representing the land between the mountains to the southwest and the urban centers to the north and east. Helping you explore this fascinating place is Yellow Checker Cab. With state-of-the-art GPS computer dispatching and a dedicated team of trained and licensed Taxi Los Altos drivers, you can be sure that you will get you where you need to go. So, what is there to see in Los Altos? Let’s find out. The majority of commerce in Los Altos is relegated to a downtown area comprised of many local stores. Nature is one of the leading attractions that bring people to the area. The San Andreas Fault Trail follows the massive fault line that represents in its physicality the incredible forces at work beneath the surface. The Windy Hill Open Space Preserve, as well as other natural trails provide opportunities to explore the mountains and hills on your feet or by bikes. In addition to the natural sites, there is also the Los Altos Farmer’s Market, as well as a popular local stage company. Finally, if you are here to relax, then you can make use of one of the many spas located in and around Los Altos. Whether you need a swift and affordable ride to your accommodation, our team has your back. Discover our budget-friendly rates and let us show you how reliable and comfortable Yellow Checker Cab is. Schedule your taxicab service and make your journey an exceptional one. Whether you need a simple pick up and drop off make sure you book Yellow Checker Cab near you. Book us by activating Voice Command on your phone and ask for: “Yellow Checker Cab near me” or “Taxi service near me”. Choose the best taxicab service in Los Altos. Our team is here for you 24/7, 365 days of the year. Call us at +1 408-777-7777. Due to the restrictions on commercial development in Los Altos, hotels are limited to the Hotel Azure, the Holiday Inn Express Mountain View, the Super 8, and the Best Western. If you are looking for fancier hotels, then consider staying on one of the neighboring cities. While limited, the hotels are rated well. If you are looking at an extended stay in the area, then you may want to consider vacation rentals, as there is a larger more evenly spaced supply available. There are several local restaurants that score favorably with enticing and inviting dishes. Akane Japanese Restaurant, and Ambience provide upscale and fun eating experiences. Beyond that, you can’t go wrong with Dittmer’s Gourmet Meats & Wurst-Haus. A number of small boutiques provide creative and beautiful women’s fashion. With so many places to investigate and explore, you can count on Yellow Checker Cab to get you where you need to be. Regardless of the time of day, when you need a Taxi Los Altos, think of Yellow Checker Cab.